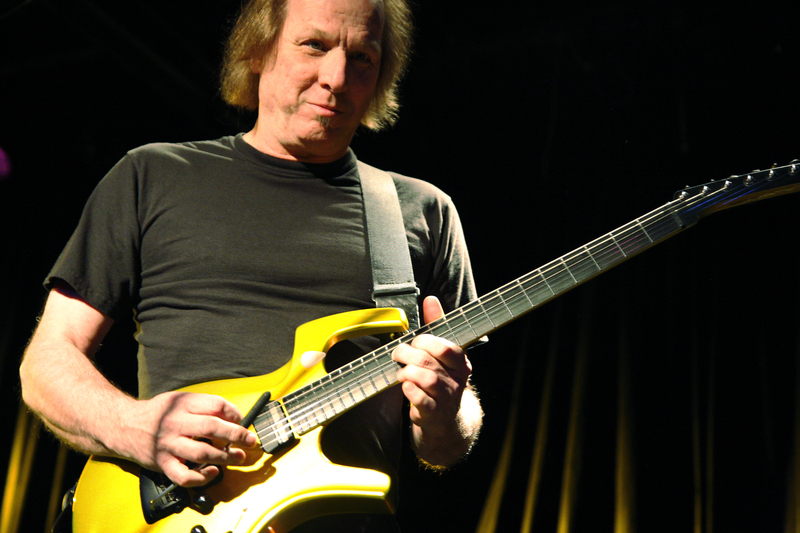 Adrian Belew Power Trio coming to Fall River, Mass. Adrian Belew, former vocalist and guitarist for King Crimson, is bringing his Power Trio to the Narrows Center for the Arts in Fall River, Mass., where the audience will get a chance to see him in an intimate setting. In addition to brand new material, the live show will feature classics from Belew’s many solo albums, spirited improvisation, King Crimson favorites, and special solo moments by Belew. Purchase tickets HERE. Belew, a pioneering guitarist, composer, vocalist, and electronic artist, will be performing at the Narrows as part of a three-month long U.S. tour on Dec.11th in a show that will start at 8 p.m. Besides Belew, the Power Trio features virtuoso musicians Julie Slick on bass and Tobias Ralph on drums. No one plays their instruments like this band and this show will rock the Narrows with a burning performance. Belew first appeared on the guitar-world radar when he joined Frank Zappa’s band in 1977. His signature tones and influences are all over Zappa’s movie “Baby Snakes” as well as his biggest-selling album “Sheik Yerbouti.” His musical use of effects and whammy bar remains unique, and his techniques continue to be a huge influence on scores of guitarists. From the late 70s to today, Belew has been on a wild ride through countless tours and albums with David Bowie, The Talking Heads, Paul Simon, and Nine Inch Nails, with whom he has appeared on three CDs. Furthermore, he was the guitarist, songwriter and frontman for King Crimson for over 30 years and an accomplished solo artist, releasing over 20 solo records that pushed sonic boundaries while maintaining artistic integrity. As a special treat for the Narrows audience, the Adrian Belew Power Trio will do a post-show meet and greet with all ticket buyers in the main lobby. Tickets for this show are on-sale now through the venue’s website, narrowscenter.org, or by calling the box office at 508-324-1926. The Narrows Center for the Arts is located at 16 Anawan Street in Fall River, Mass. Parking is free.